The Counter Custom Built Burgers is the original build-your-own-burger joint in the “better burger” genre, offering over a million possible burger and burgers-in-a-bowl combinations through a checklist-style menu! Check out this impressive list of gourmet toppings they offer to dress up your hormone and antibiotic free, 100% pure angus beef burger! Their burgers were featured in GQ magazine as “One of the 20 Hamburgers to eat before you die” and “Best Burger” on OPRAH. 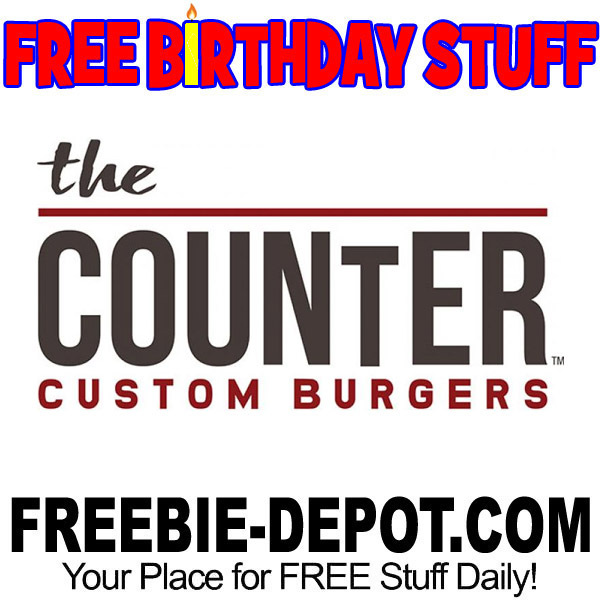 If you sign up for their loyalty program, CounterPoints, they will give you a FREE Milk Shake for your Birthday every year! You will also get a FREE order of fries when you register!